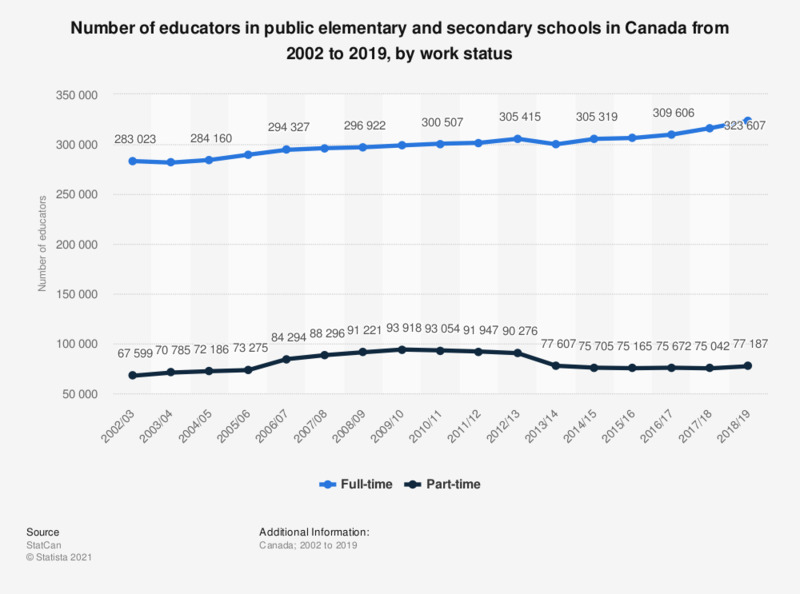 This statistic shows the total number of educators in public elementary and secondary schools in Canada in 2016/17, distinguished by their work status. Educators includes all employees who belong to one of the three following categories: teachers, school administrators and pedagogical support personnel. In 2016/17, there were 85,752 part-time educators employed in public elementary and secondary schools in Canada.